Our meetup this month s scheduled for Thursday April 30th at 7PM to 9PM at the East Library. This will be a short two hour meetup with an update on our SaaS/Cloud/Internet Cluster and client activities this past month, including a presentation by one of our new SaaS/Cloud Cluster members... Mr. Joseph Polanco of NexusLabs ! Joseph just did his first "public" test showing of the PI.CO.RO concept at the 1M cups last week at IvyWild, and we decided that he should go ahead and do a presentation with the CSE Group this month, so he can get the kind of detailed feedback, (both technical and business) that our group is so famous for when we "run" our speakers through our discriminating pitch and review process ! (It's all in good fun as you know, but highly educational for our presenters)... ! 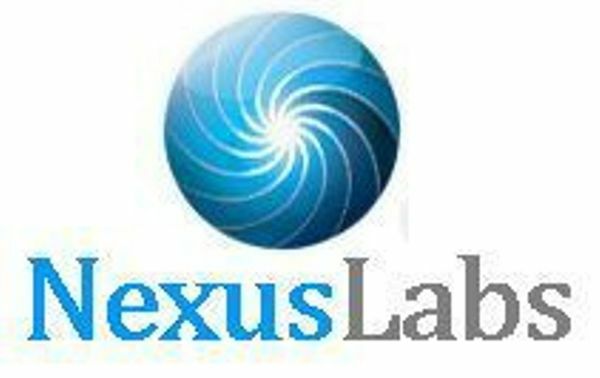 Nexuslabs, LLC is a Colorado Springs-based early stage company, developing a SaaS Software solution called "PI.CO.RO" that enables users to search, manage and "curate" social networking comments across multiple commenting engines that are used on today’s blogging and news sites. With PI.CO.RO, users will be able to login, post and follow conversations across multiple commenting engines, as well as “Carve Out” and “Curate” individual comment sessions with third parties and manage them in a common interface. At this time the company is working with an early Proof of Concept platform that was created initially for evaluation as we are developing the business and technology models for a SaaS-based subscription service for internet users called "PI.CO.RO": It is a "Comment Curation" platform. And at this time, as far as we know... no complete and low cost social networking tool exists to login, post, and aggregate as well as follow conversations across different commenting platforms. It’s also difficult for B2B businesses to monitor conversations that have spun off discussion boards hosted on their website. Also, it’s not always prudent or desired to continue “commenting publicly” with a prospective client, when you really want to continue the discussion “off-line privately”. However, with PI.CO.RO, we believe this will be possible and convenient. We are interested in getting early user feedback and input on the early "Proof of Concept" or POC solution that Jo had developed as we begin to develop a more robust MVP solution moving forward. The early POC was developed to test the concept out on a single commenting engine. We are planning on creating a second more robust MVP platform so we can test out a number of new product and service concepts around the "Comment Curation" business model. So this early "sneak peak" is a way for us to accomplish this early User Feedback step. Jo's background in business and finance has prepped him for his first technology start-up. As a Finance pro in New York City for many years he learned the rough and tumble ways of the Commercial Real Estate market. In addition to working in the Construction business locally, he is interested in honing his skills as a start-up CEO and that's why he approached the CSE Group initially to network with our group and plug into our local SaaS/Cloud Internet cluster. 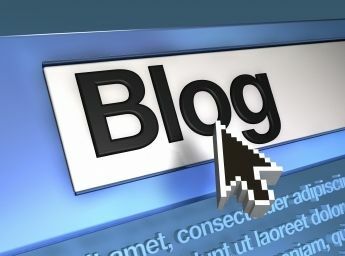 Jo's Frustration with existing blogging/news commenting engines and solutions has been years in the making. Having worked intensely with multiple social media sites and third party commenting platforms over the years… Joseph became frustrated with how tedious it was trying to work efficiently with multiple commenting platforms at the same time. He started looking online for an alternative. After realizing there were few alternatives, that’s when the idea of PI.CO.RO was born. 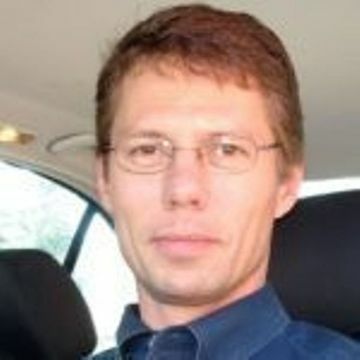 Joseph formed a small team of developers to develop a possible solution and created a proof of concept version. But now he needs to take the company to the next step in the process... raising some capital, developing the MVP version, and seeking out early customers and users. Come hear Jo's story and pitch and help provide some of the feedback he is looking for ! See you Thursday night ! 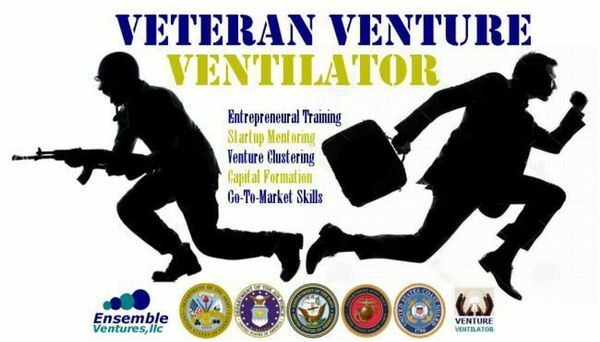 This month we will be holding our first Veteran Venture Ventilator Meetup, (which is a new Entrepreneurship Program for Vets that the CSE Group and Ensemble is now developing), to support the growth and support of our local Veterans in Colorado Springs and throughout Colorado who are developing new small businesses, or joining existing seed or development stage companies. Both here in Colorado and in cities and communities across the USA, veterans made up only 6% of all new entrepreneurs last year in the US, compared to 12% in 2000 according to research conducted by the Kauffman Foundation, which focuses on all forms of entrepreneurial activity. That’s a 50% decline in new veteran-owned business start ups and a continuance of a decline which began over two decades ago. Findings also show civilians are far more likely to launch new businesses although that is a reverse trend from just four years ago. From 1999 until 2008, veterans started their own businesses at a greater rate than civilians, but from 2009 on, civilians have outpaced veterans in starting new companies. Why has their been such a decline since 2009? It seems that older veterans that had a higher rate of business ownership are now retiring and younger veterans (who appear less interested in starting their own businesses), are opting for college or trade school pursuits after their military service. In fact, a recent survey of veterans who left the military between 2004 and 2006 showed that 48% participated in the Montgomery GI Bill, which provides college education and career instruction. According to the most recent U.S. Census Data, veteran-owned firms represent 9% of all U.S. firms. These 2.45 million veteran-owned businesses employed over 5.8 million individuals. Transitioning service members are natural entrepreneurs, possessing the training, experience, and leadership skills to start businesses and create jobs. So, if you are a transitioning service member interested in applying or learning more about our programs and service offerings, please come to this initial Meetup for an introductory briefing on some of our new Entrepreneurial Skills Training Programs for Veterans. 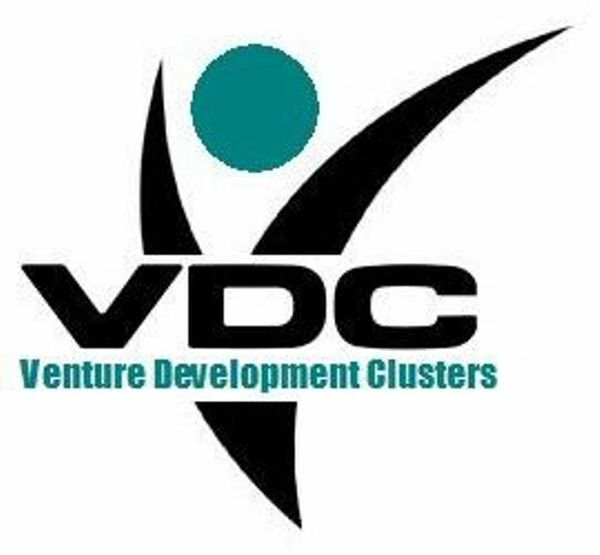 This new outreach program is an extension of our Venture Development Clustering Program to focus on the creation of a number of key vertical market clustering and micro-funding initiatives to help drive start-up and seed stage innovation and capital formation in our local community. This month we will have two presentations from two of our CSE Group Members who are Military Veterans... Mr. Daniel Glanville, and Mr. Brian Siravo who will provide some updates on their local business activities. See below for a quick summary. Accinctus provides complete business preparedness and continuity consulting services helping any business or organization proactively prepare for disasters and disruptive events. Accinctus is your preparedness partner building long-term resiliency programs on a fee for service or retainer basis. In Brian's presentation at this Month's Meetup he will be covering some new Non-Profit Organizational programs he is launching called "Prep4FBO" that are Preparedness Programs for faith-based and non-profit organizations of any size. 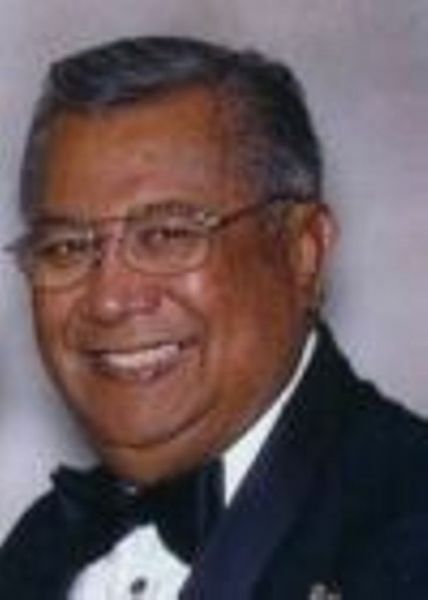 He is a Certified Business Continuity Professional (CBCP) and Certified ISO 22301 Lead Auditor with more than 20 years of experience in business continuity to include risk assessments and business impact analysis; mitigation, response, and recovery planning; training and awareness programs; exercises; and program improvement and maintenance. His experience in emergency operations, disaster preparedness, logistics, organization transformation and process improvement and various aspects of contingency planning contribute to my belief that business continuity planning should apply to large and small business. Daniel, will be presenting an overview about his financial services geared for Veterans as one of the key financial advisers for Precision Wealth Management. His title may be Financial Advisor, but he considers himself more of a "coach". In it's original meaning a "coach" was a vehicle meant to get you from one destination to the next. It did not matter where you were, a coach would pick you up and take you one or more stops closer to your final destination. It could even take you all the way there. This is Daniel's philosophy as an adviser. Whether you are in your sixties and planning your retirement, in your 20's and just getting started, or somewhere in between he would like to help make it at least one step closer to your final destination. 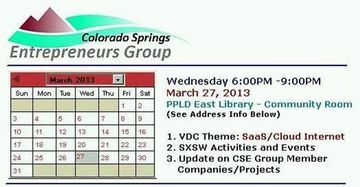 We are scheduled for a full 3 hour meetup this month on Thursday March 26th at 6PM to 9PM at the East Library. Hope to see many of our new members there for our special Veteran Meetup. It should be a fun and engaging meeting! 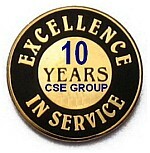 OK, CSE Group Members, we are starting off the new year with a BANG... ! And that is to address one of the BIGGEST issues and challenges that faces our local small business and entrepreneurial communities.... and that is CAPITAL FORMATION. Karl's workshop will show you how to plan, obtain regulatory approval and conduct a Limited Registration securities offering in Colorado. A Limited Registration offering is a sale of equity/debt/royalties by a Colorado business/charity/civic organization to Colorado citizens (no sales to anyone from outside Colorado). Regulatory approval is required and obtained by submitting Form RL, $50, a copy of sales materials and promotional materials. With approval, a Colorado business may publicly advertise that they are selling securities. And, they can sell to anyone regardless of their wealth. There is no limit on the number of non-accredited investors who may participate and no limit on how much each investor can invest. A Colorado business can sell up to $5 million of securities. Arguably, Colorado’s Limited Registration is the best crowdfunding option anywhere in the United States. So, tonight's presentation will be "info-packed" and very educational with actionable steps you can take to put some capital resources to work for your company. What is the CCC ? The Colorado Capital Congress PBC , (a Denver based organization) is a social enterprise structured as a public benefit corporation in Colorado. As an activist and advocate, it offers membership services in the conduct of educational programs, mentoring, networking, research, capital industry surveys, public demonstration projects, expansion of existing capital sources, establishment of new funds and programs and community support. As many of you already know... raising money in Colorado Springs for new business formation, or existing product development or service expansion is about as fun as watching paint dry... Not engaging, and not rewarding. That is why many of us have had to go "North" to Denver and Boulder or Fort Collins to seek out Seed Angel investors and Syndicate Networks to pursue funding for our ventures. It's just not happening locally, as many of the current "angel investors" are either "tapped out" or not currently investing or interested in the sectors or spaces we are engaged or working in. From every poll or survey I have conducted over the course of the last 7 years of Chairing the CSE Group, the need for addressing the ABSOLUTE SHORTAGE AND EPIC FAILURE of our local capital formation process is on the top of the list each and every time. We have plenty of support organizations, and service providers here in town to help support hundreds of companies, so this is not a need. In fact, many of the local meetup groups that are designed to "match-make" investors with entrepreneurs have become over-crowded with service providers seeking out work or contracts. Hey, don't misunderstand what I'm saying here... there is nothing wrong with selling and seeking out new business and work for your company, but there is a place and time for this... and its not in the middle of venture pitches or entrepreneurial oriented meetups. There are plenty of other commercial and sales oriented meetups for this activity. In addition, we have plenty of skilled and talented business and technology mentors in town that could help new start-ups that are emerging with support programs, but they are not "accessible" to our entrepreneurial community as we have a lot of private business service "silos" and "corral groups" that want to "funnel" small businesses and entrepreneurs into limited scale, and limited mentoring models for convenience sake. What we need to do is to "open-up" the contact and communications doors to more qualified mentors and start-up specialists and professionals, (which includes not just finance and accounting pros, but engineering gurus , software specialists, business development, and marketing/sales professionals) to provide a more well-rounded base of professionals to support the process. Some can be offered for free and volunteer in nature, others are engaged and contracted when and where required. A fresh new perspective on WHAT CAPITAL IS, and what you need to do to be knowledgeable about HOW TO OBTAIN CAPITAL for your business. And it's not always just "cash". That means education... A VERY SPECIAL KIND OF EDUCATION. A hands on, real-world education. And we need to identify and approach NEW CAPITAL SOURCES throughout Colorado and the USA, because today, YOU DON'T have to raise money ONLY FROM LOCAL SEED ANGELS.... It's time to expand your perspectives, and options for capital. And as many of you know we are developing our own local "Community Capital Investment" models and strategies along the lines of "Micro-Funding" initiatives to support our "Venture Development Clustering" concepts so this is completely in-line with our vision and thinking on the development of targeted funds and investors focusing on key specific clusters. That's why this month I am pleased to announce the new strategic alliance partnership between the Colorado Springs Entrepreneurs Group and the Colorado Capital Congress (CCC). Why ? Because access to capital remains a key challenge to starting and growing a business in Colorado Springs. The Colorado Springs Entrepreneur Group is teaming with the Colorado Capital Congress PBC to help address and develop solutions to these ongoing challenges. Within the capital industry, there is relatively little interaction between different capital sources. A business turned down by a bank, angel investor or venture capitalist is often left with nowhere to turn. A wide variety of alternative capital sources are not even considered. The Colorado Capital Congress is working to create local capital communities, where sources of capital will collaborate to assure that a business seeking capital is matched with an appropriate source. Where no source exists, the Colorado Capital Congress will work to establish new funds or financing programs. Karl Dakin, Director of the Colorado Capital Congress, will provide a State of Capital in Colorado report. Topics will address types of capital, capital sources and capital transactions. He will discuss the health of Colorado’s capital industry, current trends and activities that will include planned programs of the Colorado Capital Congress to improve the capital ecosystem of Colorado. Karl Dakin is business start-up veteran with 30 years of experience acting as consultant, adviser, legal counsel, expert witness, investor, principal investigator, educator, officer and director to a large number of private businesses, educational organizations, professional associations and government agencies. 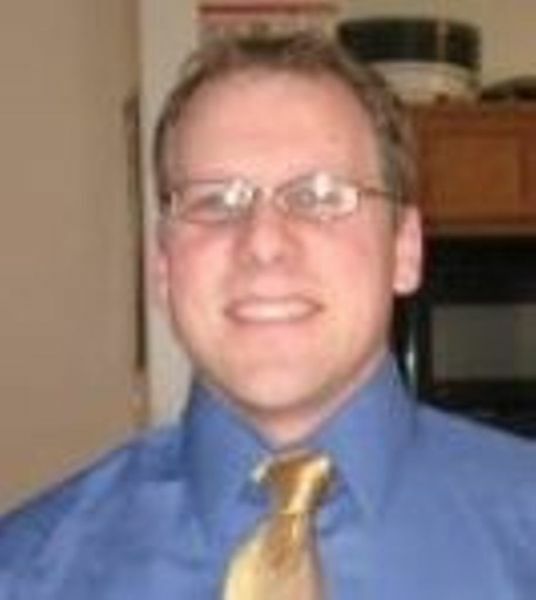 Mr. Dakin has served as an executive in many leadership positions pursuing business opportunities in multiple markets. Working with cutting edge technology and programs for commercialization of innovation, Mr. Dakin has brought to bear his own creative and communication talents. He has shared knowledge gained through these experiences through extensive writing, speaking and instruction. As our two planned Entrepreneurial Speakers had scheduling conflicts for this month, we will reschedule them for our Feb and March meetups respectively. So we will provide more time for our attending members for the always favorite "Open-Mic-Night" where you get to "Take the Mic From Mike" and come-up and present something that is on your mind, something bugging you, a new product or service you want to launch, a legal challenge you are facing you need some help on, etc. We are expecting a large turnout this month, so be sure to RSVP your attendance and guest counts early ! And I am looking forward to meeting our new members this month !. 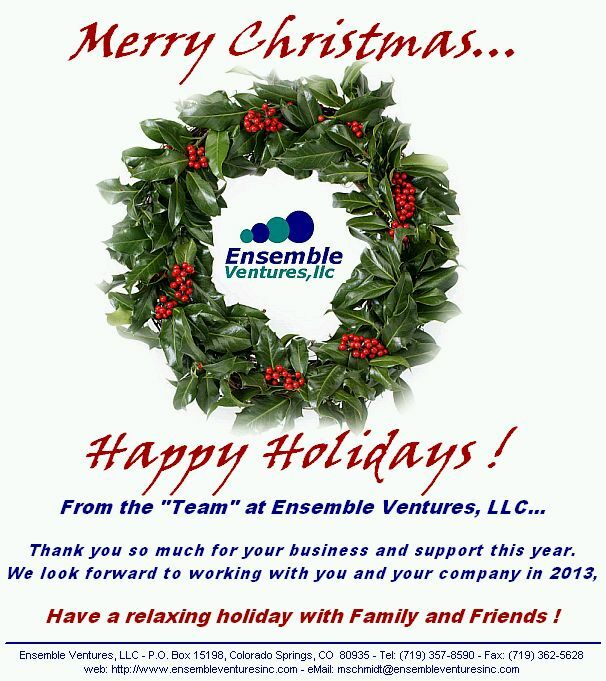 December 2014 CSE Group Meetup & Holiday Mixer. For our final meeting of the year at THE EAST LIBRARY on Union Blvd, we will be holding our annual Holiday Mixer Pot-luck Meetup. For those of you who will be home for the holidays during Christmas and New Years, come join us for some fun at our Annual holiday pot-luck meetup where we challenge our members to bring their favorite dishes and layout a spread that is fit for a king ! After meeting for the first time with Mr. William "Chief" Galvin this past week, and learning more about his new National Veteran Village Alliance (NVVA) initiative, and his plans for the evolution of his Rocky Mountain Veteran Village Foundation, I was really impressed with his vision and drive for making a difference for Veterans in Colorado and across the USA. After attending a series of meetings and a special presentation last week by the staff of the developing NVVA organization, I believe the program and services that the NVVA is creating for Veteran's nationally. So, today, I just confirmed that William "The Chief" Galvin, the CEO and Founder of Rocky Mountain Veteran Village Foundation (RMVVF) and ex USAF Command Chief Master Sargent will be sharing his vision with us this month about his new Veteran Services support programs here in Colorado and with a new alliance with the Veteran Recreation and Rehabilitation Center (VRRC) in Washington State that is joining forces with the RMVVF. A veteran who grew up within the Department of Defense through the U.S, Air Force and as a Department of the Army civilian. Assigned as the Business Manager for MILSATACOM transportable terminals with Titan Corporation. Now giving it all back through full time volunteer activities with the Rocky Mountain Veterans Village Foundation assisting the active military and veterans in achieving what I have achieved. Operating as a local non- profit organization, RMVV is a "One Stop Shop" referral source for educating, counseling and mentoring veterans on benefiting from their earned VA entitlements. The Foundation ensures the integrity, capabilities and reliability of all resources prior to referring any veteran to a benefit associate and community agencies. We assist the veteran in bridging the gaps and cutting through the Red Tape on their claims to attain swift action. You will be able to post your favorite dishes on an online form so we can coordinate and schedule the holiday fest with other CSE Group Members and your guests. This way we don't get MULTIPLE FRUIT CAKES !! You can participate and contribute your favorite holiday main course or desert using this handy form and database that immediately posts and presents the menu as it is being developed once your post is approved. We had such a good response with this last year (and an amazing array of food) that we are bringing it back for a second encore ! (7:15PM) - Holiday Mixer Starts ! • Final Wrap at 8:45PM ! Hope you can make it and participate in our Annual Holiday Pot-Luck Meetup ! Ok, for tonight's Meetup we are going to be focusing on one of our other Venture Development Cluster Themes... and that is Healthcare. Specifically our Healthcare IT Cluster. This is the Colorado Healthcare Community Online Resource Exchange or (“CHC”) is an innovative new community-based healthcare information exchange concept being developed by a small group of local business and IT professionals in Colorado Springs, along with a number of healthcare non-profit leaders. This team of professionals desires to create an interconnected, innovation-driven, and results-oriented collaborative healthcare information exchange with a responsive web design and mobile interface to support both local healthcare organizations as well as citizens in the community. • Providing a comprehensive and searchable localized healthcare services directory that is desktop, tablet and smartphone enabled. Dr. Greg Sharp’s exposure to medicine started early, growing up in his father’s family medicine home-office in rural New Jersey. Greg studied biology, chemistry and mathematics at Hope College in Holland, Michigan then went on to Washington University in St. Louis School of Medicine where he met his wife Heather Sharp MD. He trained in Family Medicine at the Univ. of Missouri-Columbia where he served as Chief Resident. Following residency he worked for a year as an Emergency Room Physician in small communities around mid-Missouri and as a locum tenens physician in the coastal town of Sitka, Alaska. After the birth of their first child and upon completion of Heather’s residency training in family medicine, they took a position in private practice within a multi-specialty group in Alamosa, Colorado. In 2004, Heather and Greg established Ideal Family Healthcare in Woodland Park, Colorado, a town of 7000 people, west of Colorado Springs. The practice has been a pioneering endeavor in a low-overhead, high-tech model of care inspired by other “IMPs” around the country. This model has focused on using technology and redesigned workflows to allow for longer visits with patients and a more enjoyable pace of work for the doctors. The practiced was recognized by NCQA in 2009 and again in 2012 as a level 3 Patient-Centered Medical Home. 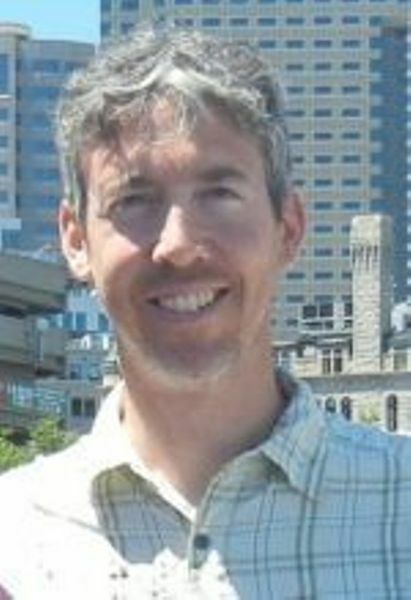 In 2012, Greg completed a Masters Certificate through the University of Colorado in the Leadership Track of its Health Information Technology program. In January of 2013, Ideal Family Healthcare moved to Manitou Springs, CO “at the foot of Pikes Peak”. 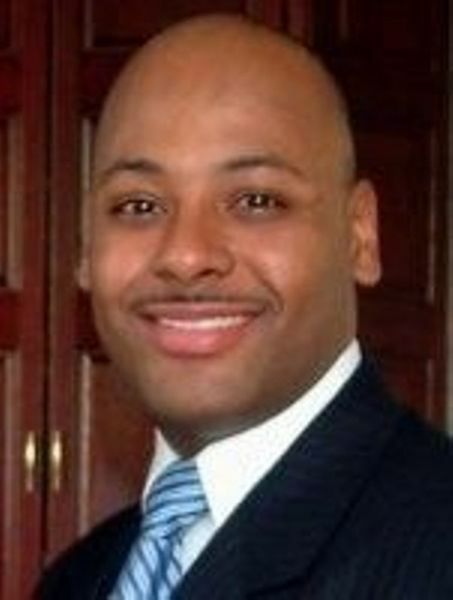 He currently serves on the board of Ideal Medical Practices. In September of 2014 he founded Agora of Colorado Springs, a nonprofit that is creating a new marketplace for healthcare to address the problems of patients foregoing care due to the dysfunction in the current system and working to heal the doctor-patient relationship. Greg’s interests broadly encompass getting out into Colorado’s wonderful outdoors and the use of technology in medical practice. AND I FOUND OUT ABOUT GREG & AGORA FROM A HEALTHCARE INNOVATION CHALLENGE IN BOSTON ! (Small World) ! TEDx Colorado Springs is Coming Next Month! Also we will have a program update on the TEDx Event that is being held next month at StarGazers Theater. 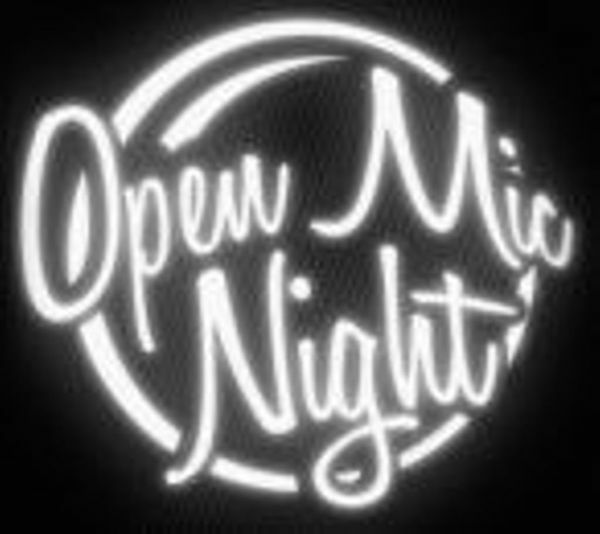 We will also provide more time for our always favorite "Open-Mic-Night" where you get to "Take the Mic From Mike" and come-up and present something that is on your mind, something bugging you, a new product or service you want to launch, a legal challenge you are facing you need some help on, etc. If you have some successes you want to report on, some challenges you are facing, or want to find out more about some of the other Entrepreneurs and Companies in the CSE Group, now is your chance ! Looking forward to seeing you tonight ! Ok, CSE Group members, we have a jam-packed evening this Wednesday night (August 27th @ 6PM at the East Library in the Large Meeting Room) as we update you on some exciting CSE Group company achievements made this past month, and an announcement about the upcoming TEDx Conference coming to Colorado Springs in October. First off, I will be providing an update about NewStart Solutions, L3C (The developer of the CrimeSuspect.NET solution for Community Policing) that is fresh from its USA and International Trade Show introduction in Fort Worth, Texas last week at the IAATI conference, (International Association of Auto Theft Investigators). We were introducing our new Exclusive USA Personal Property Asset MicroDot Distribution program and some innovative solutions for tagging and tracing personal assets and vehicles with our TAGnTrace and CSN PropertyVault Solutions. Exciting things are happening with this new Colorado Springs-based company, so come and see what we have accomplished in the last several months. We will also be hearing from Brian Siravo from Accinctus who will be introducing a new service offering from his company called "EAP Workshop". These are the development of OSHA required Emergency Action Plans (EAP) to educate your employees on their actions and responsibilities during an emergency or unforeseen accident or critical incident. 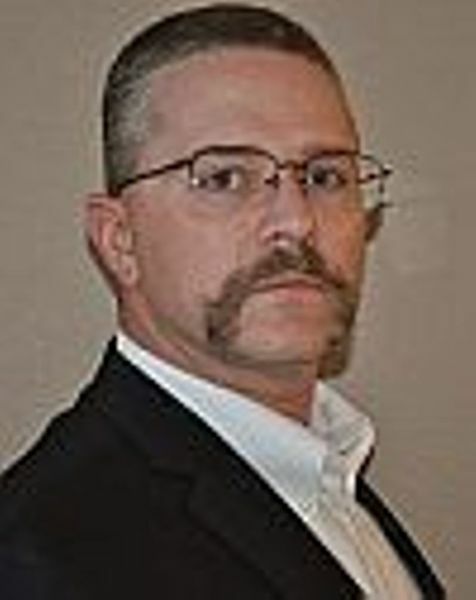 As many of you know, Brian has over 20 years of experience in business continuity, contingency planning, and preparedness functions and is a Certified Business Continuity Professional (CBCP). Brian is an ex officer in the US Air Force after graduating from the Air Force Academy. .
TEDx Colorado Springs is Coming in October ! And finally, I have the pleasure of introducing the exciting news that TEDx is coming to Colorado Springs ! After reading about the upcoming event being planned for the Springs several weeks ago in the local media, I reached out to Managing Director Dan Cichello to see if I could help and assist the volunteers that have come together to help plan, organize and host the event. And after a few emails, calls and meetings I'm happy to say... I have volunteered to be part of the team! We are also actively looking for additional Sponsors and in-kind Support services so if you are interested in supporting TEDx in Colorado Springs, contact me. TEDx Comes to Colorado Springs - Choose To Start! Colorado Springs, CO: On Saturday, October 11, 2014, Colorado Springs, for the first time in our history, will host an extraordinary gathering of world visionaries, advanced thinkers, and creators to the first annual TEDx Colorado Springs. The event will take place at Stargazers Theater, 10 S. Parkside Drive, and will feature fifteen groundbreaking lectures from opinion leaders in many diverse fields discussing topics ranging from eating healthy in a toxic world, to downsizing your lifestyle, and the experience of competing in the toughest bicycle race on the planet. “These incredible speakers combine to spark deep discussion and connection in a small group.” Dan Cichello, Managing Director TEDx Colorado Springs. The event theme of “Choose To Start,” will bring together speakers who have taken personal initiative, faced incredible challenges and chosen to start something incredible. TED is an annual event where the world’s leading thinkers and doers are invited to share what they are most passionate about. “TED” stands for Technology, Entertainment, and Design, three broad subject areas that are, collectively shaping our futures. The ideas showcased contribute on matters from any intellectual discipline. Attendees have called it “the ultimate brain spa.” In the spirit of ideas worth spreading, TEDx is a program independent from TED Talks. Created by local, self-organized people brought together to share a TED-like experience with their communities. Welcome to our First "Virtual Meetup". Unlike a live video conference or webinar, the "Virtual Meetup" we are going to be experimenting with is an online forum and blog based approach to bringing our members together around a topic of shared interest. In this case the filing of an application and the participation in the Glorious Failure: In Search of Success Innovation Challenge that is being promoted by COIN, (Colorado Innovation Network) that is a division of the Colorado Office of Economic Development and International Trade. Calling all innovators who have embraced the concept that failure can be a catalyst for success. We want to hear from you! 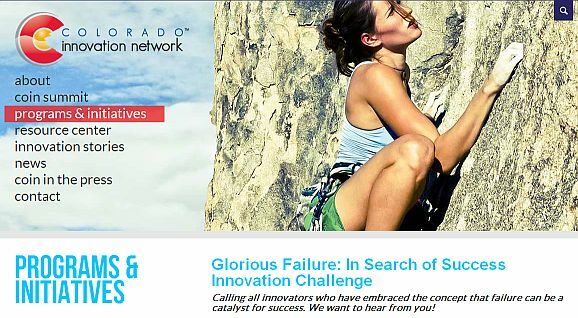 Beginning May 23, 2013 through July 3, 2013, we are launching the Glorious Failure: In Search of Success Innovation Challenge designed to showcase and accelerate innovators with high-growth potential ventures who are willing to share their lessons learned from obstacles and adversity. Five finalists will be selected to pitch at the COIN Summit on August 29, 2013, including a finalist selected by the community, and four finalists will be selected by a selection committee, The overall winner will be selected by the COIN Summit delegation and will receive $50,000 cash and other in-kind prizes. This will take you to the main category page where you will see a series of posts from CSE Group Members that are actively participating in the COIN opportunity or members who are just lending a hand and advice to others. And starting on Monday July 1st we will be posting a number of resource files and tips and techniqures on our built-in FTP download area to help you in filing your application. When the FileStore is ready we will send out an email to all the members with a direct link to the FTP download area. Interested in Helping Out ? If you are interested in helping to support our members in this effort please contact me through an e-mail through the meetup site. Looking forward to working with on your COIN Applications ! Just got word that Jay Brooks of VoltaMedia will be stopping by and giving us an update on his recent Simian (http://www.gosimian.com) exhibition at SXSW in Austin, Texas a couple of weeks ago. Was a successful showing for this local SaaS/Cloud/Internet success story... Come and hear about the exciting developments at this fast moving local Colorado Springs Company. And Jay's kicking in as our refreshments sponsor for tonight's Meetup ! As indicated below we are going to be "re-visiting" our SaaS/Cloud Internet Venture Development Cluster initiative with some updates on local companies and their progress over the last year that will include MICR Prime, and Simian, as well as some updates on some new SaaS/Cloud companies that have emerged and are in development now including CrimeSuspect.NET. I will be making an announcement about a joint business development initiative between Ensemble Ventures and VoltaMedia for the creation and launch of a SaaS/Cloud/Internet Collaboration Center that will be based at our Van Dyke Lofts building location in downtown Colorado Springs. This is the first step in the process for the development of the first of six Venture Development Clusters in Colorado Springs that will be focused on the Software As A Service, Cloud Solutions, and Internet Applications marketplace vertical. We will be describing the facilities we are making available, the services offered, and the flexible Connector and Collaborator service packages that we will be offering initially. Looking forward to seeing many of you tomorrow night as we resume our monthly meetup schedule after our hiatus last month as we paid tribute to Carol Romig of MICR Prime Services who passed away in February from a sudden medical condition. We will miss you Carol ! We will also open the schedule for an extended "QuickPitch" session for impromptu company, product, and service pitches from our members... Normally this is a 10-15 minute segment for updates from members... This month we will devote a full half hour to our members to "Take the Mike away from Mike" and allow for a spirited exchange. Our Meetup this month is scheduled for Wednesday January 30th at the East Library downtown at 6PM as we continue to develop our Venture Development Clusters in specific vertical markets. This month we are again focusing on Alternate Energy, the people, the companies and the funding models for our proposed Alternate Energy Venture Development Cluster for Colorado Springs. 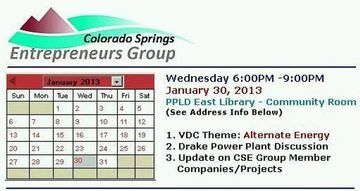 As many of you know there are a number of interesting Alternate Energy companies here in Colorado Springs that we have talked about before, and have had make presentations at previous CSE Group Meetup's. This month we are going to follow-up on one of our favorite local entrepreneurs, James Culture, who has been working on his Hydrogen Processor solution for over 20 years at H2Hypod. Over the course of the last several years James has experienced a number of challenging situations both personally and with hurdles and challenges at his company as he is attempting to raise capital, develop a production platform, and build up his marketing and sales efforts to put H2HyPod on the map. Come and meet James, hear his story, and participate in the process, as we collectively meet to see if we can help him along his critical paths. James is a life-long entrepreneur and inventor, who in addition to his the development of Hydrogen Generation technology and the creation of the H2HyPod company, he has pursued a wide variety of careers and professional accomplishments and excelled in a number of real estate, finance and telecommunications professions along the way. James is currently in Europe pursuing some strategic funding opportunities and was not able to make it back for our meeting this month. 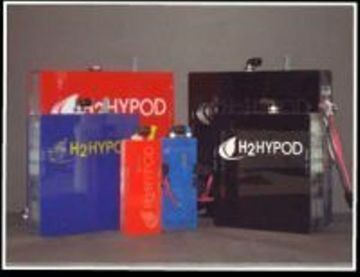 In August of 2006, a high efficiency, fully-scalable hydrogen generating technology was developed by H2HyPod after decades of R&D and Trial and Error manufacturing, fabrication, design engineering and field testing. The core technology renders a larger amount of H2 from water through a more efficient use of electricity than previous methods, and is virtually pollution free. This proprietary, licensed technology is the heart of the H2HyPod. The size of a dictionary in the average passenger vehicle, although fully scalable for uses other than automotive, the H2HyPod can be installed in under one hour, making it practically plug-and-play for the 700 million vehicles currently in operation worldwide, a staggering number of prospective consumers. Starting in the Canadian and US markets, H2HyPod, the company, plans to market and license the product worldwide. As the world makes the transition from fossil fuels to green energy, H2HyPod is positioning itself to be the forerunner of retrofit transportation applications. Neumann Systems Group, Inc. (NSG) designs and builds emissions control systems for power plants and other industrial applications. NSG’s principal product line, NeuStream™, is a suite of emissions control systems that removes harmful pollutants from emissions sources like coal-fired power plants and industrial sources that contribute to ozone, acid rain, respiratory diseases and climate change. TheNeuStream™ systems are based on an advanced gas-liquid contacting device invented, developed and manufactured by NSG. I would like to lead an open-forum discussion about this situation as an "open-invitation" to all sides of the debate to come to the CSE Group Meetup and discuss the pros and cons of this "debate". I know where I stand... "Go Pro". We need to support innovative companies like this locally and innovative entrepreneurs like David Neumann to create a world-class technology solution for the reduction of emissions and pollutants from coal plants world wide. What we don't need is "small town" politics and "turf wars" getting in the way. We need to break through the log-jam of accusations and threats of lawsuits, and ethics violations and get down to the basic brass-tacks... Economic Development. And folks, we have a MAJOR OPPORTUNITY right in front of our noses that requires "level-headed" and "smart business people" to rally to the defense of NSG and CSU. If you have something to say or contribute about this "embarassing" situation that should have never happened in the first place... Come and join in the debate ! Should be a fun and Lively night !